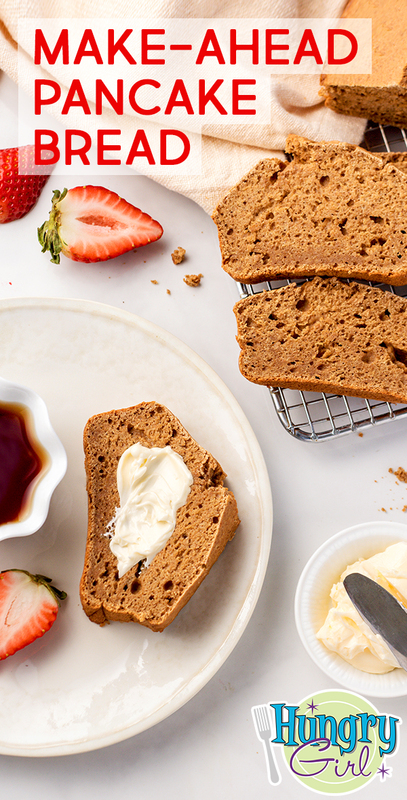 Today’s recipe was inspired by the Pancake Bread at Trader Joe's. We took one look at it and said to ourselves, "Why didn't we think of that? !” Well, imitation is the sincerest form of flattery, and our spin will become a new make-ahead favorite! Click to see how it’s made! Preheat oven to 350 degrees. Spray a loaf pan with nonstick spray. In a large bowl, combine both types of flour, sweetener, cinnamon, baking powder, and salt. Mix well. Place butter in a medium-large microwave safe bowl. Microwave for 20 seconds, or until melted. Add remaining ingredients, and mix until uniform. Add mixture in the medium-large bowl to the large bowl, and mix until smooth and uniform. Transfer to the baking pan, and smooth out the surface. Bake until light golden brown and cooked through, about 50 minutes. 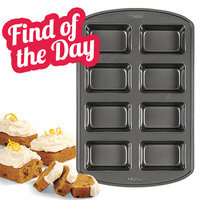 How stinking cute is this mini-loaf baking pan? It allows you to make portion-controlled (and adorable) little loaves of bread. It’s dishwasher safe and comes with a 10-year warranty (wowza). 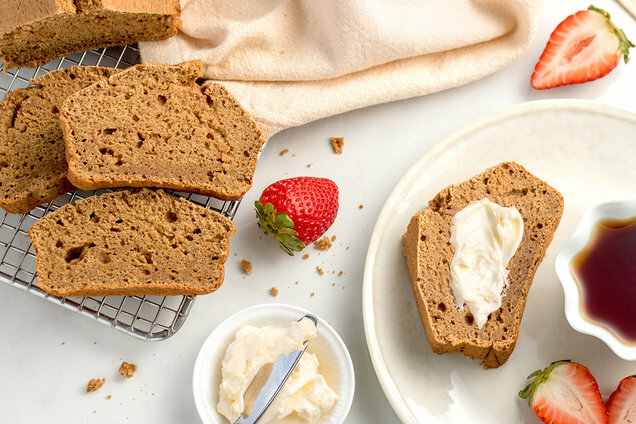 Use it with any recipe that calls for a standard loaf pan by simply adjusting the bake time. Wanna bake up some miniature Make-Ahead Pancake Bread loaves? Just reduce the bake time to 30 minutes! Hungry for More Eat-All-Week Breakfast Recipes? As an Amazon Associate, we may receive compensation from some of these links. Today, February 5th, is National Chocolate Fondue Day. We'll be submerging strawberries into this Double Chocolate Cheesecake Dip… How ‘bout you? Get your bake on with your best buddies -- click "Send to a Friend" now!